I am all about grilling in the summer. Any excuse to spend more time in my garden and outdoors is a plus here in Oregon. Since sunny days are such a rare treat I try to make the most of them by firing up the barbecue whenever I get the chance. 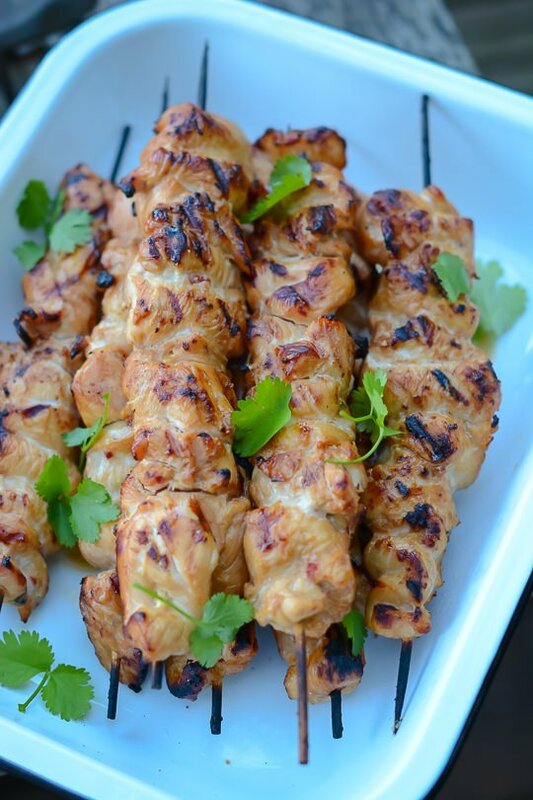 This is one of my favorite recipes for grilling. 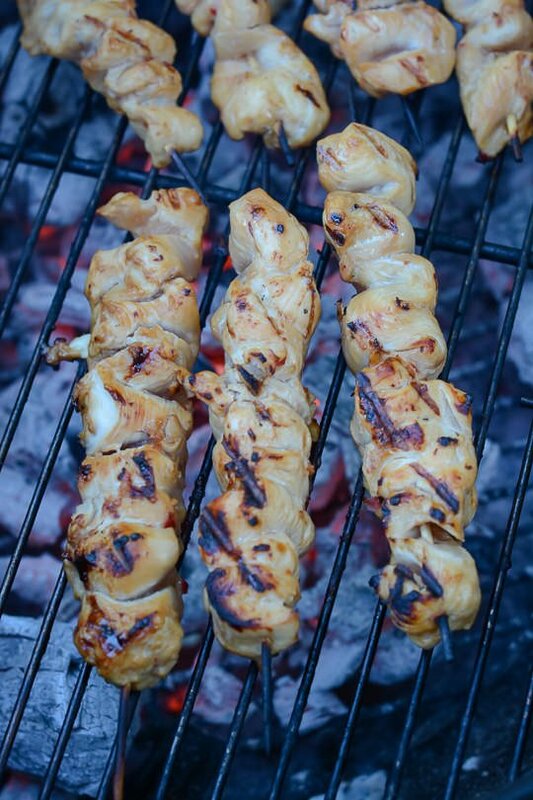 Yakitori is usually bite sized pieces of grilled meat on skewers. It’s easy to prep it ahead of time and served with a green salad and some grilled vegetables it makes a super healthy and satisfying meal that everyone in my family will enjoy. I must admit that I usually cook up a little white rice for my boys and I usually eat the salad by myself. I keep hoping that if I serve vegetables at every meal one of these days they might want to eat some too. Until that day comes I’ll keep trying to come up with things that satisfy their meat-loving cravings and sneak in something green as well. 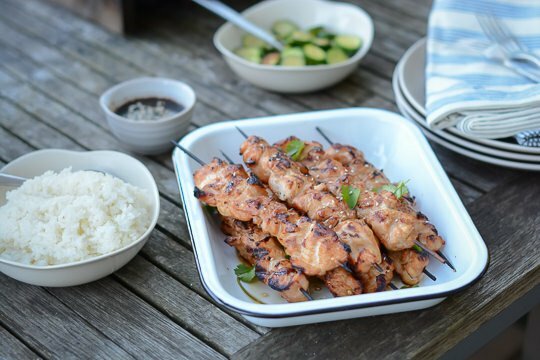 These sweet and savory kabobs are easy to prepare a great healthy option to burgers and hot dogs and perfect for you next barbecue. Combine the soy sauce, mirin, honey, ginger, garlic, red pepper flakes and sesame oil in a medium saucepan and cook until the mixture has slightly thickened and reduced slightly. Let cool completely before marinating the chicken. 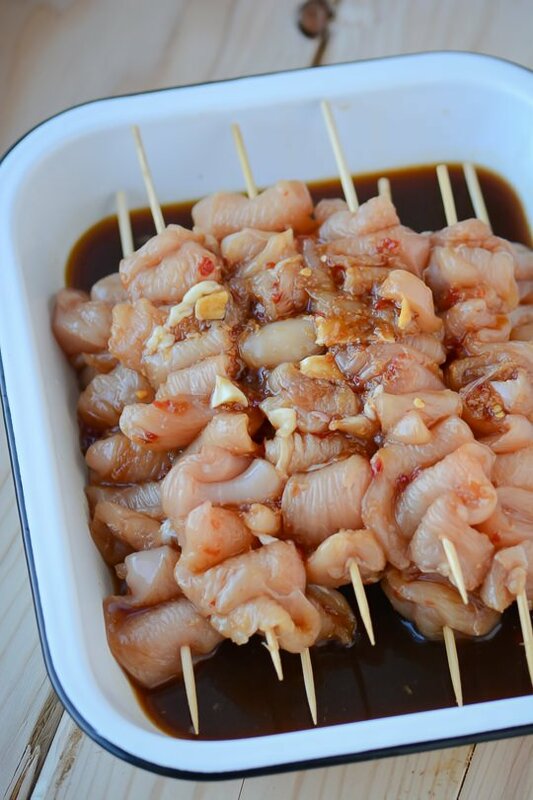 Rinse and cut the chicken into 1-inch pieces. 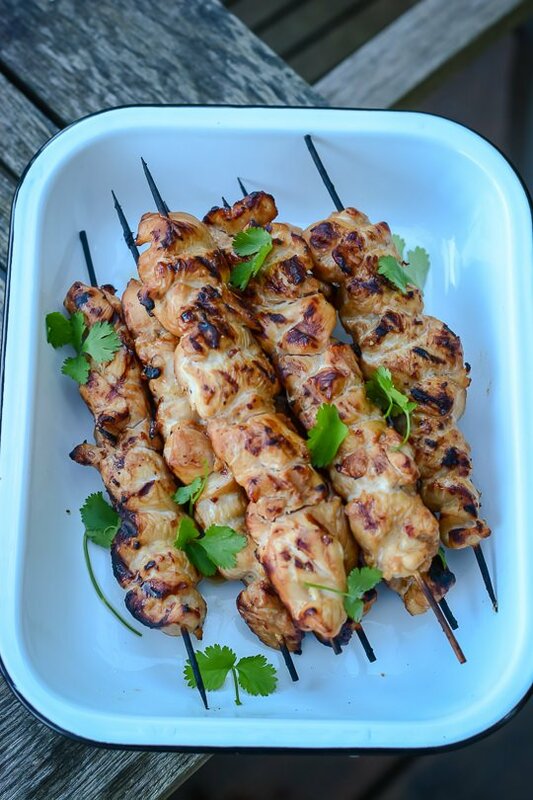 Thread the chicken onto eight wooden skewers. 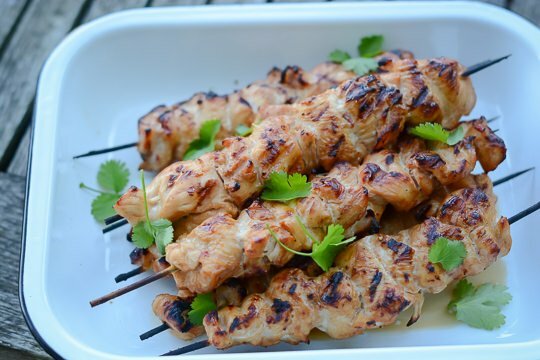 Place the chicken into a resealable plastic bag along with ½ the marinade and refrigerate for at least one hour or up to overnight. Light and oil a grill to medium heat. Grill the skewers over medium heat until cooked through, turning to make sure that each side has nice grill marks on them. 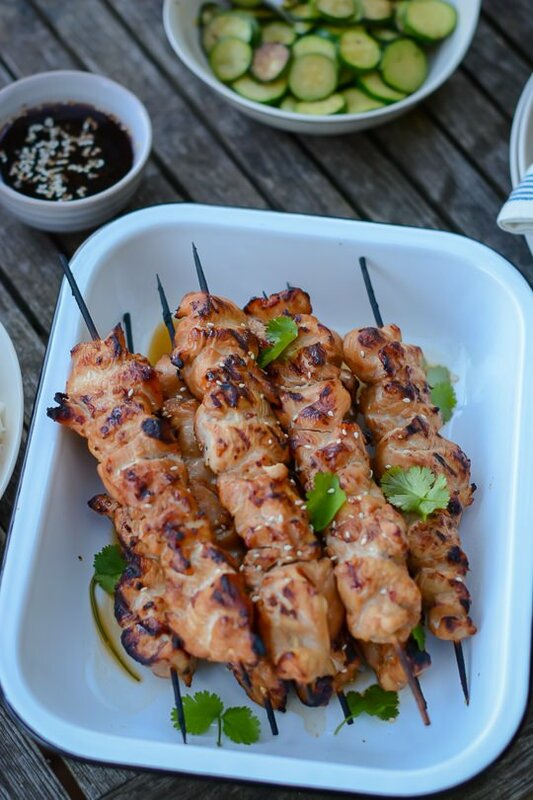 Serve the skewers with the reserved teriyaki sauce, chopped cilantro and a sprinkling of sesame seeds. 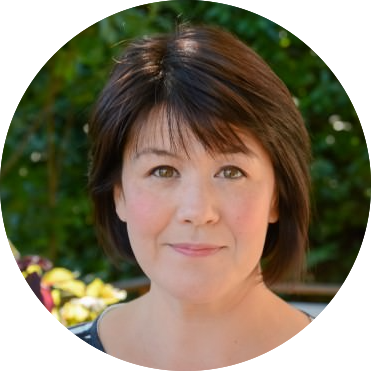 So glad to have stumbled across your blog! All the recipes look amazing and I can’t wait to try them. Love your sentiments in your “about” section. You are so right, so many are trying to chase after and buy happiness when it’s already right in front of them. Less is always more and our family is also striving to just be content with the simple things in life. Looking forward to your future posts, your site is beautiful! Thanks so much for checking out the blog and the kind words. I do try to keep things simple and enjoy what I have but I have to admit that I love beautiful things so I take the time to really think about what I do purchase and make sure it’s something that I love. I hope you enjoy the recipes if you try any! 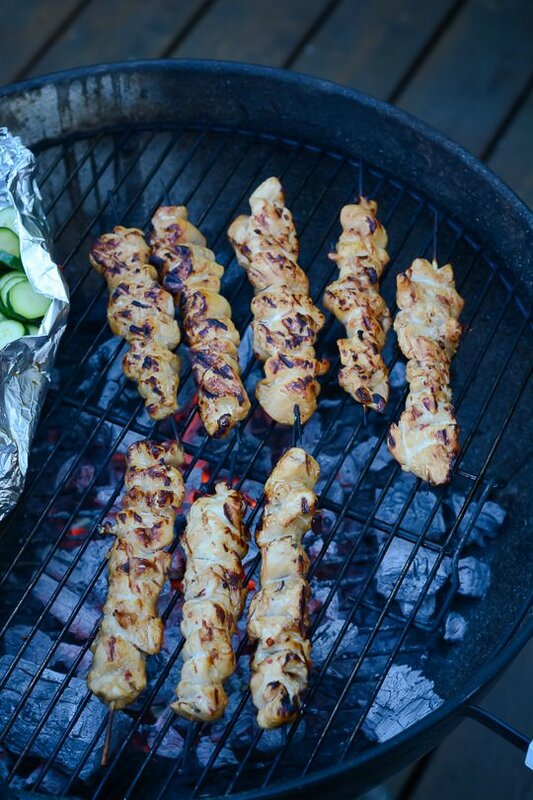 I just bought prepared Yakitori chicken kabobs from Whole Foods and am so happy to have a recipe for the next time we want some. Thank you! I hope you like them, they are always a hit in our house!